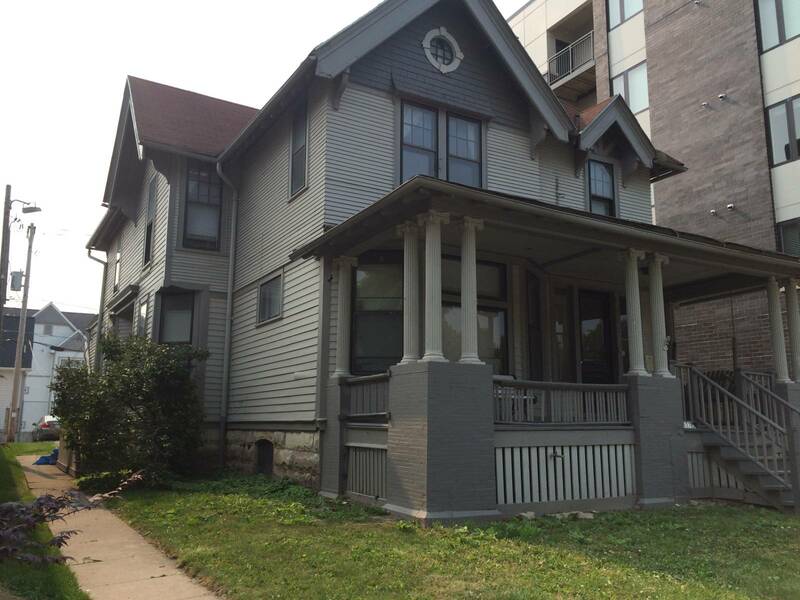 The Historic Preservation Commission held a meeting Monday afternoon to determine whether a Lower East Side house should receive temporary designation as a historic building. 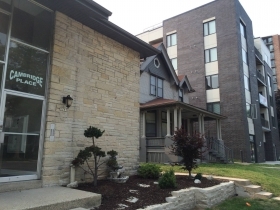 Owner Thomas Wong bought the property at 1773 N. Cambridge Ave. (a block north of Brady St.) in early 2014 with the intent to demolish the home. He already owns the property immediately to the south and his intent is to build an apartment building in its place. Carlen Hatala, Historic Preservation Planner for the city, presented a rationale as to why the house should receive this temporary designation. Hatala argued that it fulfills several criteria of the Historic Preservation Ordinance. First, it exemplifies the cultural, economic, social, or historic development of Milwaukee due to its prior owners. Three historically significant Milwaukee businessmen and their families have owned the house through its existence, Hatala noted: Charles E. Crain (who lived there from 1880-1894), Thomas M. Claslin (1899-1920) and Anson Eldred (1917-1936). You can find the full history of the building here. Second, because of a careful remodel between 1903-1904, the house has withstood the neighborhood changes that occurred in next 111 years. Third, Hatala argues that it is the work of a master architect who influenced the development of Milwaukee. Henry A. Betts, though his work has not been extensively studied, was a talented designer in the Arts and Crafts style that the house embodies. Architect Joel Agacki, of Striegel-Agacki Studio, argued that other Milwaukee homes better embody the Arts and Crafts style than the 1904 remodel. He dubbed the home a “nuisance property;” presently it’s a rooming house and it is not economically feasible to turn it into a development property. Architect Kerry Yandell added that the house doesn’t retain its original style. “It has been adorned in response to popular trends at the time,” Yandell contended. Hatala contests this last point. She believes original style doesn’t matter at this point – the house has survived 111 years at its current style and is therefore significant. Ald. Nik Kovac agrees. “It’s not a house I want to lose,” Kovac says. When he noticed the demolition permit in May, the house went on his radar and he filed for the temporary historic designation. Kovac admits the home may not be as grand as others, but argues it adds historical value to the district to which it belongs. He adds that everywhere an apartment building currently stands there was once a historical home or mansion [for example, the apartment building to the north, Flats 1809]. The trend right now is to demolish old homes and replace them with new apartment buildings and he aims to stop that, Kovac vowed. The criteria for a temporary historic designation was met and will remain in place for 180 days. Ald. Robert Bauman compares the designation to a temporary restraining order that could potentially be lifted, but during this time, the preservation committee is required to consider making the house a permanent historic designation. Although the temporary designation does not restrict demolition, it does require that a certificate of appropriateness be submitted before any action can be taken. After the hideous monstrosity shat out next to the house in question, its easy to side with Kovac on this one. I agree in principal. However, as long as the state and city rely so heavily on property taxes more and more of these old houses will be demolished or simply fall into disrepair. The owner may not be able to tear the house down, but he won’t dump money into it either. In poorer sections of town, just updating the plumbing costs more than the house is worth. And if you dare to remodel or restore an “historic” home in a nicer part of town, the city absolutely kills you with reassessments. I restored a home because I didn’t want to tear it down and had to sell because I couldn’t afford the taxes. Our tax code is destroying the housing stack because most of the time the city is the only winner. Most of the time it doesn’t pay to restore homes. Maybe the city should take a page from some of our peer cities and create incentives for investments like very gradual increases or a five year period where property taxes stay the same. The city takes the crème from the housing market and the housing stock is eroding. I don’t blame the city because the state will not allow Milwaukee to diversify revenue sources. It has to overly rely on the property tax. Please save the house by assigning historic status. I will say what I often think is that when it is gone so is the story, and you cannot get it back that others who follow may also know. Have we no regrets for what we have lost in the past. Just one example: Chicago Northwestern Depot. What will replace it is likely to be a typical flash-in-the-pan design that does not hold its design value and interest over a long period. That is an architectural, economic, and developmental fact seen in this type of housing market. That being said, compromise. Not really a great immediate location for this now out of place home on its block. Across the street its different, but here, I could make a point that the block has ‘tipped’. That being said, make the developer move it to a new site and get it sealed up and weathertight if they have to move in two pieces. Then find a way to get it on the market and/or rehab it (it appears in good condition on the exterior), maybe as a skills training home or in conjunction with Habitat for Humanity or other group. The solution is to move the house. 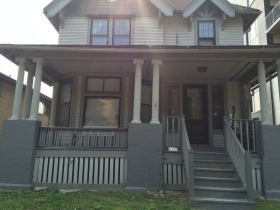 The city has several vacant lots in neighborhoods where this house would fit in.